 Contemporary Chrysler Dodge Jeep Ram FIAT has the affordable auto loans that shoppers need. Our experienced financial staff is ready to help you find the best financing rates on your next new or used Chrysler, Dodge, or Jeep. Nashua Jeep drivers can find quick and easy car loan approval at our New Hampshire dealership. Our financial experts work with a nationwide network of lenders to get you the best deals. We can answer any questions you have about loan options along the way. Whether you have good credit, bad credit, or no credit, we can help you. Manchester Chrysler shoppers can get approved online before even coming into the dealership by filling out the financial application below. Getting approved for an auto loan in Milford is simple at our Chrysler, Dodge, and Jeep dealership serving Nashua. Auto loans for all makes and models are available for Milford new and used car shoppers. Allow us to customize a car loan program to fit your needs and meet your budget. We are available over the phone at (844) 500-6722(844) 757-3258. We look forward to helping you get behind the wheel of the vehicle you’ve always wanted!